Equipment needed: 1. Lacrosse or mobility Ball. 2. Padded Mat. Today we are working on the flexibility, mobility, and stability of the ankles and hips. We are starting off with a muscle/fascia release for the muscles located on the front/side of your lower leg, which are your Tibialis Anterior muscles. We are then moving on to end-range stretch isometrics for the front of your ankles to open up your ankle plantar flexion. Finally, we are finishing with a great hip flexor and ankle stretch/activation movement. We love the social media love! Take a pic or video doing Movement Vault and tag us in it @movementvault. Get it guys! Equipment needed: 1. Padded mat. Today is a flow day! 🤙 We are working on just about everything today. We have two flow days per week as part of the Movement Vault program. We love the social media love! Take a pic or video doing Movement Vault and tag us in it on Instagram, Facebook, or Twitter @movementvault. Get it guys! Equipment needed: 1. Padded Mat (optional). Today we are working on the flexibility, mobility, and stability of the shoulders, spine, and hips. We are starting off an end-range stretch isometric technique to stretch out the back of your shoulder, specifically your posterior rotator cuff muscles. We are then moving on to t-spine aka your upper back activation work. Finally we are finishing up with a shoulder, core, and, hip stretch/activation movement. Let us know how your body feels after todays routine. Post on to your Instagram story or feed and tag us in it @movementvault. We’ll send you a 🤙and some ❤️. Get it guys! Equipment needed: 1. Padded Mat. 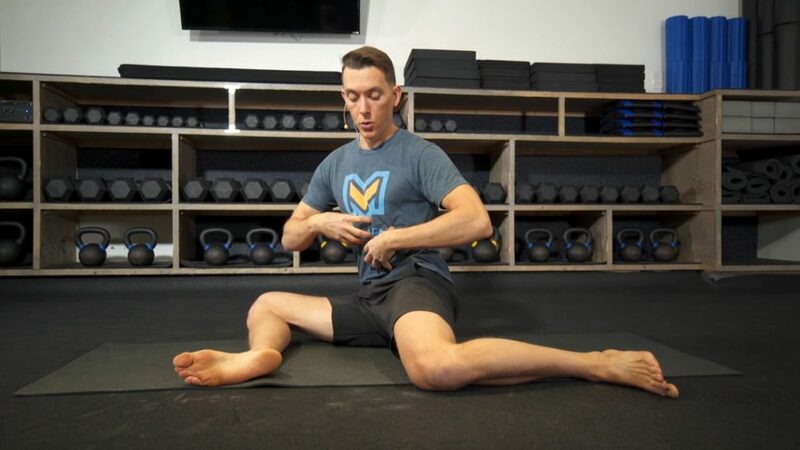 Today we are working in the sitting splits aka straddle position focusing on the flexibility, mobility, and stability of the hips, low back, and “core.” We are moving in and out of multiple positions with a focus on end-range stretch isometrics and activation, which will help you own and control your hips, and all of the muscles that surround your low back including your QL, and obliques. We love the social media love! Take a pic or video doing Movement Vault and tag us in it @movementvault. Get it guys! Equipment needed: 1. Foam Roller. 2. Padded Mat. Today we are working on the flexibility, mobility, and stability of the hips and shoulders. We are starting with a muscle/fascia release for the tensor fascia latae aka TFL, which is one of your hip flexor muscles that attaches into your IT band. If you have tight IT bands, this one is for you. We are then moving on to hip flexor end-range stretch isometrics and then moving into hip extension end-range stretch isometrics. 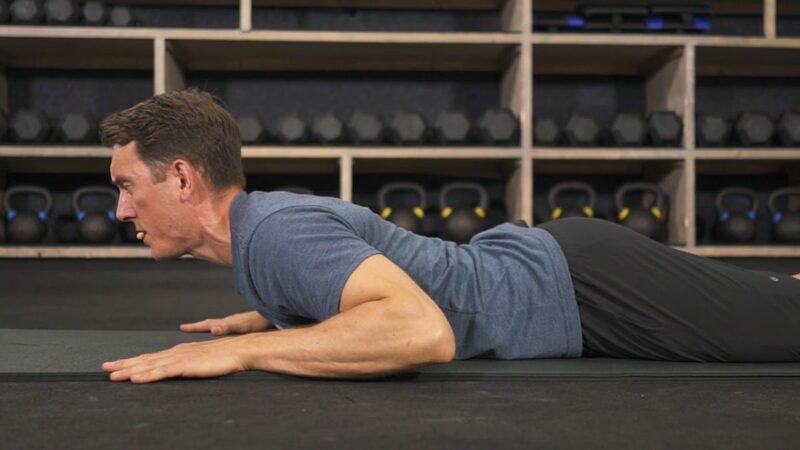 We are finally finishing up with an end-range stretch technique for your lats. Let us know how your hips and shoulders feel after todays routine. Post on to your Instagram story or feed and tag us in it @movementvault. We’ll send you a 🤙and some ❤️. Get it guys! Equipment needed: 1. Padded mat. Today is a flow day! 🚀 We are working on just about everything today. We have two flow days per week as part of the Movement Vault program. We love the social media love! Take a pic or video doing Movement Vault and tag us in it on Instagram, Facebook, or Twitter @movementvault. Get it guys! Equipment needed: 1. Lacrosse ball or mobility Ball. 2. Padded Mat. Today we are working on the flexibility, mobility, and stability of the back and hips. We are starting out with a quadratus lumborum aka QL muscle/fascia release. We are then moving on to a stretch/activation movement for the low back and QL. Next we are moving on to a full body stretch and activation move we call around the worlds. Finally, we are finishing up with a full range of motion activation movement for the hips. We love the social media love! Take a pic or video doing Movement Vault and tag us in it @movementvault. Get it guys! Equipment needed: 1. Lacrosse ball or mobility ball. 2. Padded Mat (optional). Today we are working on the flexibility, mobility, and stability of the shoulders and t-spine aka your upper back. We are starting off with a pec muscle/fascia release to open up the front of your shoulders. We are then moving on to pec end-range stretch isometrics to cement in your new found mobility in the front of your shoulders. Finally, we are finishing up with t-spine activation work. Let us know how your shoulders and t-spine feel after todays routine. Post to your Instagram story or feed and tag us in it @movementvault. We’ll send you a 🤙and some ❤️. Get it guys! Equipment needed: 1. Padded mat. Today is a flow day! We are working on just about everything today. We have two flow days per week as part of the Movement Vault program. We love the social media love! Post a pic or video and tell the world how Movement Vault is helping you feel, move, and perform better and tag us in it on Instagram, Facebook, or Twitter @movementvault. Get it guys! Equipment needed: 1. Foam Roller. 2. Padded Mat. A shortie but goodie! Today we are working on the flexibility, mobility, and stability of the T-Spine aka upper back, lower back, and hips. Today is all about rotation. We are starting with a foam roller joint mobilization/activation movement to increase your upper back rotation. We are then finishing up with a lunge end-range rotation stretch/ activation movement. ❤️We love the social media love! Take a pic or video doing Movement Vault and tag us in it @movementvault. Get it guys! Equipment needed: 1. Foam Roller. 2. Padded Mat (optional). Today we are working on the flexibility, mobility, and stability of the shoulders. Today we are starting out with a lat and rotator cuff muscle/fascia release. We are then moving on to end-range stretch isometrics to open up the front of your shoulders and improve your overhead position. We are finally finishing up with shoulder full range of motion activation. Let us know how your shoulders feel after todays routine. Post on to your Instagram story or feed and tag us in it @movementvault. We’ll send you a 🤙and some ❤️. Get it guys! Equipment needed: 1. Padded Mat (optional). Today we are working on the flexibility, mobility, and stability of the hips and ankles. We are starting off a movement/stretch that will increase your hip internal and external rotation. We are then moving on to end-range stretch isometrics for the hips. 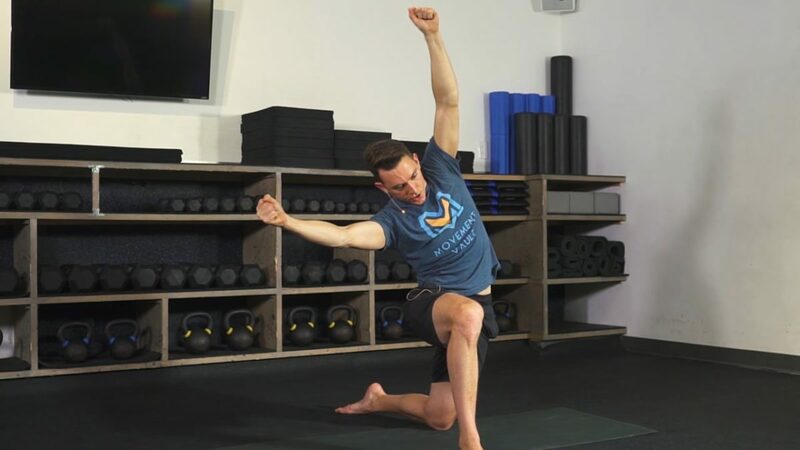 Lastly, we are finishing up with an ankle opening activation movement to help you increase your ankle plantar flexion. We love the social media love! Take a pic or video doing Movement Vault and tag us in it @movementvault. Get it guys!